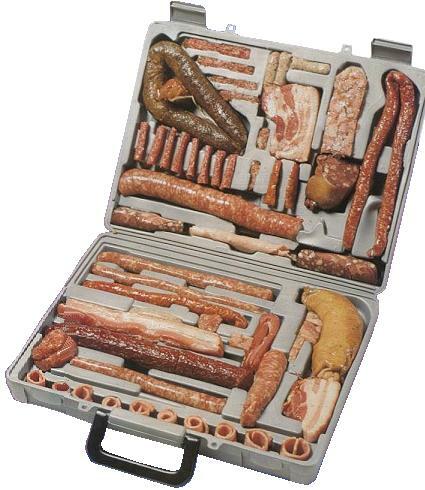 While in the middle of researching a short piece about bacon, I also came across some related sausage links (sorry, unavoidable), and this picture of a briefcase outfitted to transport sausage. I present it here without further comment. Except… how does it stay cold? Because that’s gonna be one stinky attache case in a pretty short time. And also… where does one have to be going to need a case of meat all neatly laid out like that? And and as long as we’re on the subject (and we are SO on the subject now)… how do they get meat that’s just the right size to fit those spaces? And, just: why? why? why? Oh, and I guess I’ll add this one. 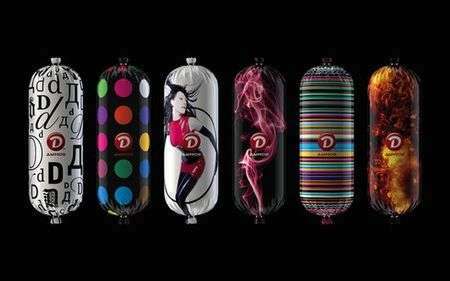 Apparently, a Russian firm is manufacturing its sausages in these designer casings. Source of both pictures is Trendhunter.com. The briefcase is hysterically funny! The designer casings, I have to admit has a certain appeal. Too funny. You win the briefcase.